MILLINOCKET, Maine — Town leaders will seek reassurances that the No. 11 paper machine will stay in place at the inactive Katahdin Avenue mill when they meet with Cate Street Capital officials later this month, they said Wednesday. 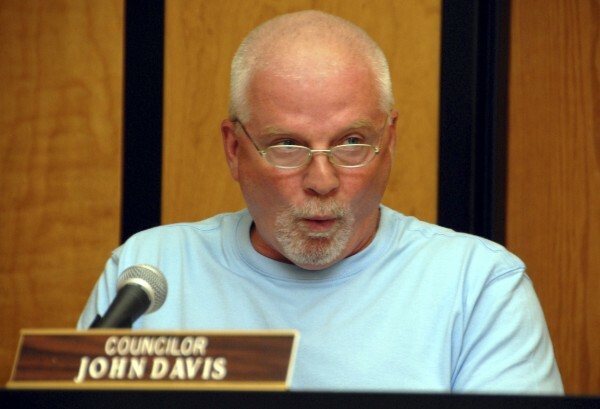 Town Council Chairman John Davis said that besides an update on the company’s plans, which usually comes once or twice annually, councilors hope to quell rumors about the machine’s permanence and introduce company officials to the town’s new manager, Peggy Daigle. No meeting date has been set. Scott Tranchemontagne, the New Hampshire-based company’s spokesman, did not immediately return a message seeking comment on Wednesday. In conversations with the Bangor Daily News that occurred as recently as last week, he has said the company has no plans to remove the steam plant and that the company’s plans to install a torrefied wood-making machine on the mill site are progressing. The paper machine needs steam to make paper. Removing the steam plant would effectively end its ability to do so. Davis and Councilor Jimmy Busque conceded, however, that the pipelines connecting the steam plant to the machine have been marked to keep them from being removed as part of demolitions occurring on the site. Cate Street or its subsidiaries are razing several buildings on the site to make way for an industrial park. They expect the work to continue into the summer. The salvage work is expected to make money for the company. Davis and Busque said they would regret but not be surprised that the company has no immediate plans to restart the No. 11 machine. Market conditions for the paper it makes remain poor, Davis said. Company officials have said that besides an improvement in those conditions, they would need a natural gas pipeline that Gov. Paul LePage has pledged to support. The pipeline, state officials have said, would run from the Old Town area through Lincoln to Millinocket. Its gas would help replace the No. 2 heating oil burner that forced the mill’s closure about five years ago. LePage spokeswoman Adrienne Bennett did not immediately return messages seeking comment. As proposed by a Cate Street subsidiary, the torrefied wood machine would produce wood pellets for shipment to European and British electrical plants. The pellets, which burn much hotter than those found in typical wood-pellet stoves, would replace coal and help plant operators conform to tightening air-quality standards. Cate Street officials have expressed hopes of building as many as five machines at the Millinocket site to take advantage of its immediate truck and rail access. Each machine would employ 20-25 workers directly with as many as four forest products industry workers per each direct job indirectly employed hauling wood to the plant. Company officials have said they want to begin machine construction late this spring. Workers have already cleared space on the site for the machine. Construction should finish by late fall or early next year, company officials have said. The jobs created would be a tonic for a Katahdin region economy that typically has an unemployment rate that is double the state average. Daigle said she looks forward to meeting Cate Street. As a new town manager with extensive economic development experience — she began work earlier this month — she hopes to meet with as many town businesses as she can to promote good relations and see if town government cannot help them to grow.